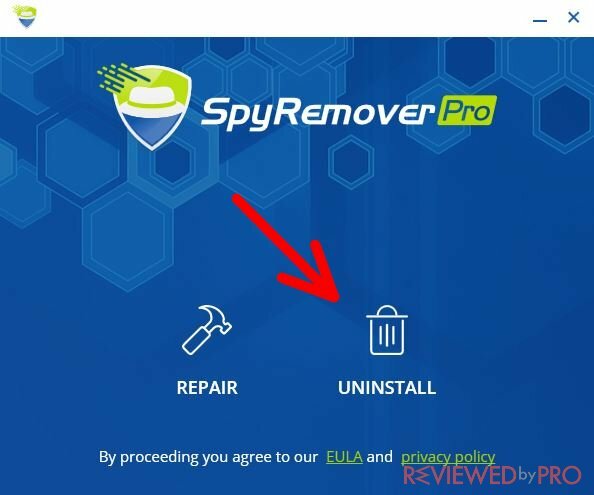 This is a short description (user manual) on how to uninstall SpyRemover Pro from your computer. 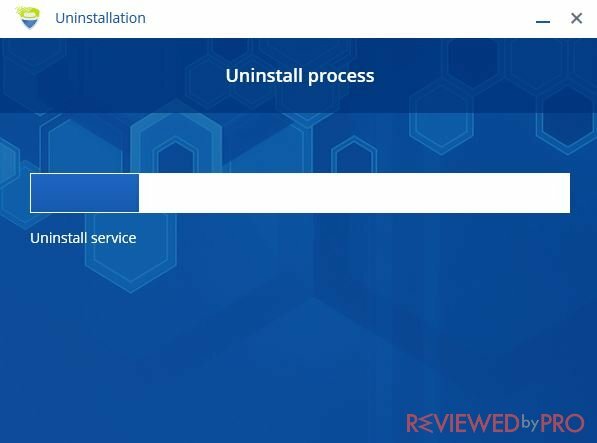 By following these steps, you will uninstall this software from your PC without problems. 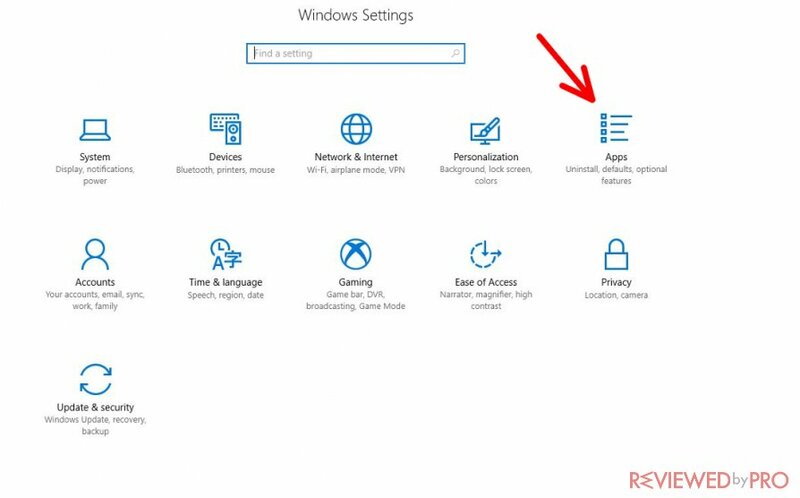 Note: this is an uninstallation guide for Windows 10 operating system. 1. 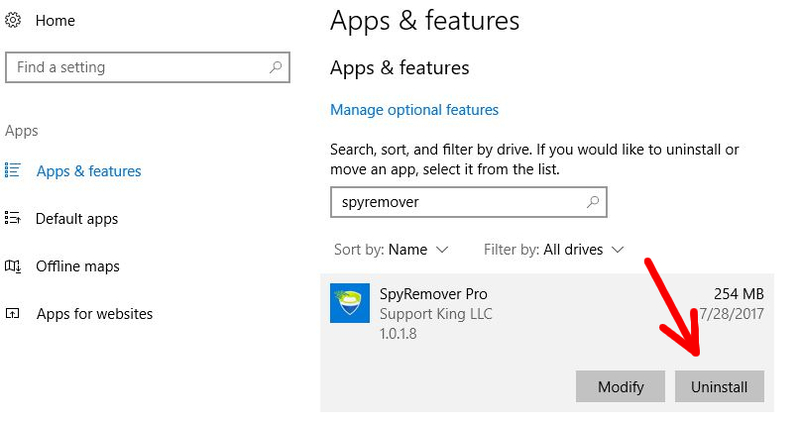 First of all, if you want to uninstall SpyRemover Pro from your Windows 10 OS, you should close this program, otherwise, Windows will not let you do this. 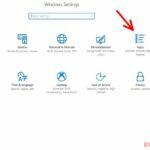 If you want to uninstall any program from Windows 10, you should always close it. 2. After doing it, go to the bottom left of the screen and press the “Windows” button. 3. Once a pop-up window appears, press the button with the “Gear” icon as it is shown in the previous picture. This button will redirect you to another step of SpyRemoverPro deletion. 4. 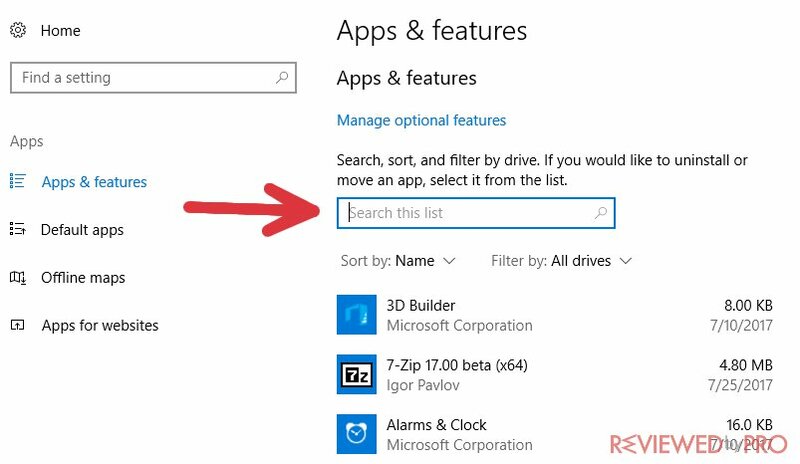 Once Windows operating system redirects you to the system's settings, you should find a button that says “Apps”. 6. Type in “SpyRemover Pro” into the search bar to find the app on the list. Press on the program's logo to see two buttons: “Modify” and “Uninstall”. 7. 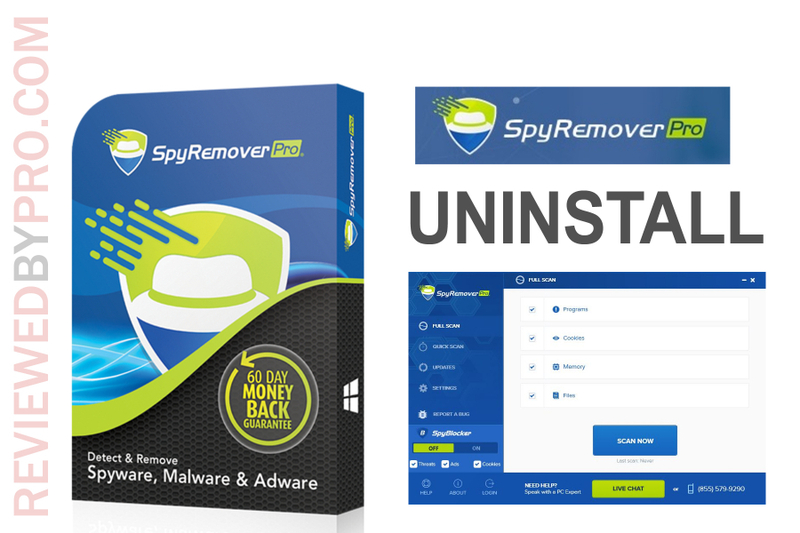 Press “Modify” if you want to do some changes in the program, and press “Uninstall” if you want to remove Spy Remover Pro from your Windows 10 operating system completely. 8. 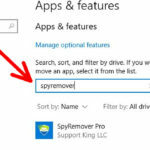 After pressing the “Uninstall” button, Windows 10 will open another window with the question “Are you sure you want to remove SpyRemover Pro. 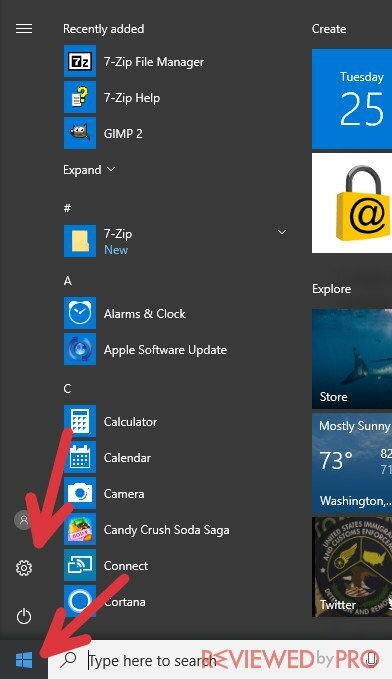 Press “No” if you decide to leave the app on your computer or press “Yes” if you want to delete the software. 9. You will then see the Uninstallation Wizard of SpyRemover Pro. First, select the language you want to use during the process. Then you will see two choices: “Repair” and “Uninstall”. Choose “Uninstall”. 11. Congratulations! 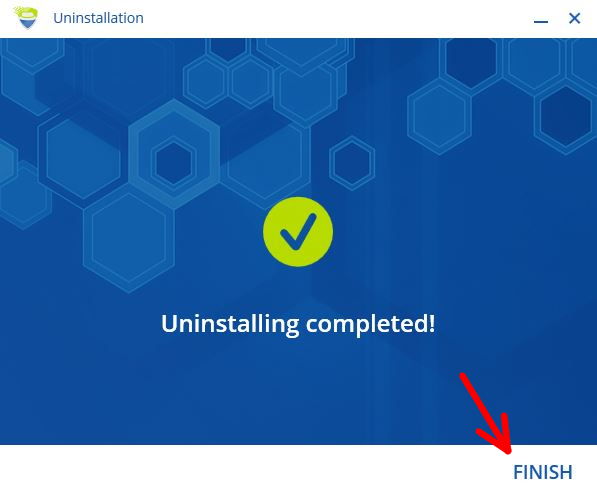 The antimalware application is uninstalled. Click “Finish”.